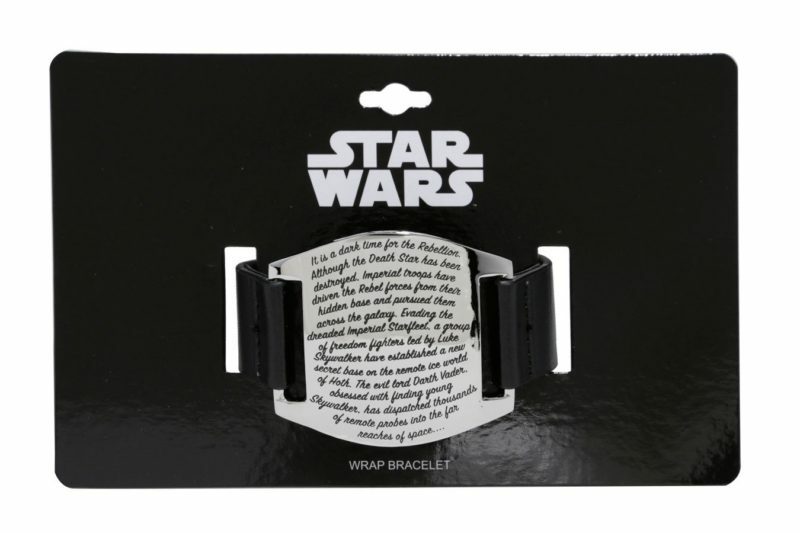 This new Love And Madness x Star Wars bracelet is now available at Hot Topic! 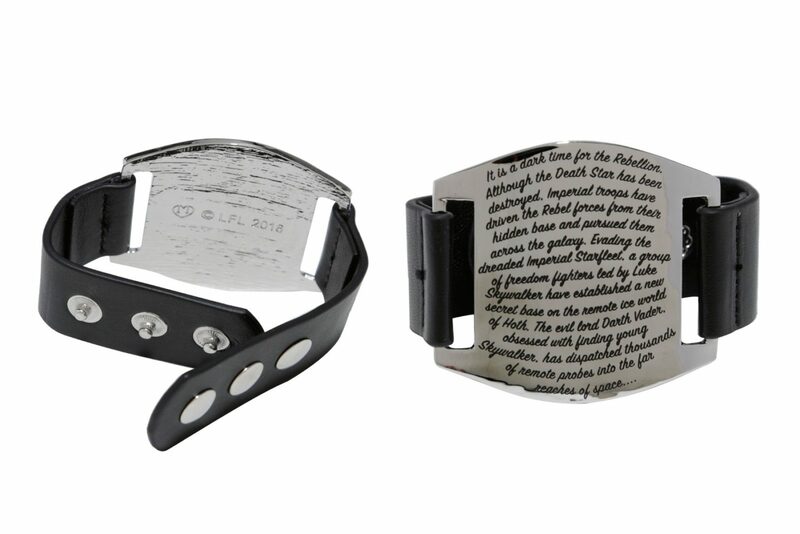 The cuff style bracelet features a central silver-tone plate engraved with the opening crawl text from The Empire Strikes Back. 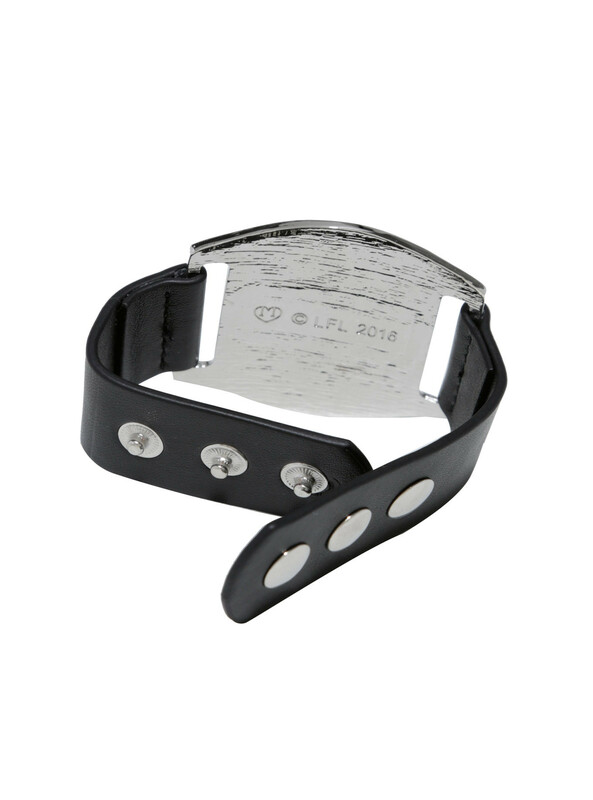 The bracelet secures closed with 3 silver-tone dome snaps, so it is adjustable. Love And Madness has previously used this style bracelet for a Beauty And The Beast bracelet, which was described as the ‘Hot Topic version of the Madness wrap’ – I love the strong silver and black design! 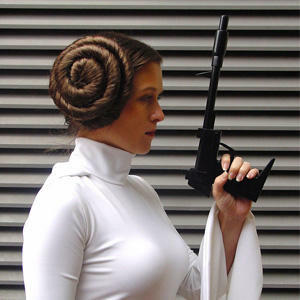 It is a dark time for the Rebellion, but it’s a good time for fashion. 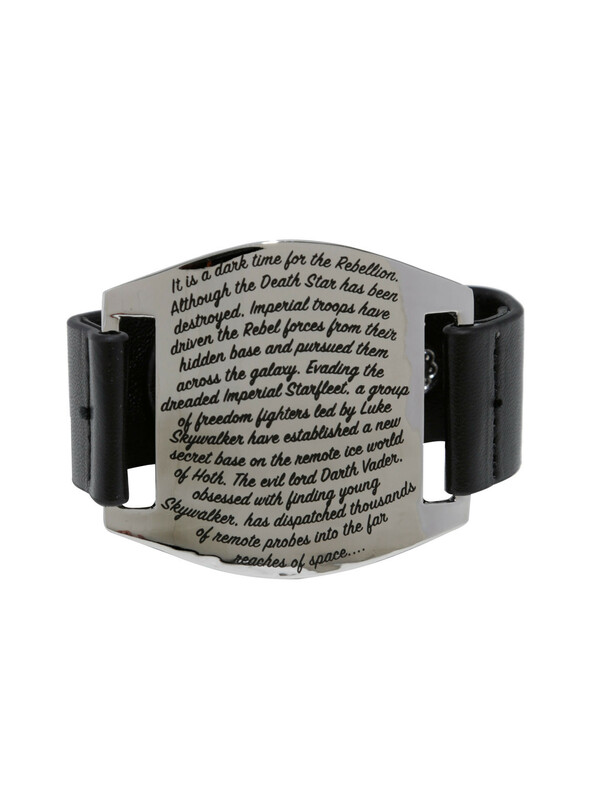 Accessorize your best Star Wars outfit with a plate cuff bracelet engraved with the opening crawl from The Empire Strikes Back. May the Force be with you. The bracelet is priced at US$12.90 each – but is currently on sale for only US$10.32 each. Hot Topic can ship internationally, which is great. Photos sourced from and belong to Love And Madness.